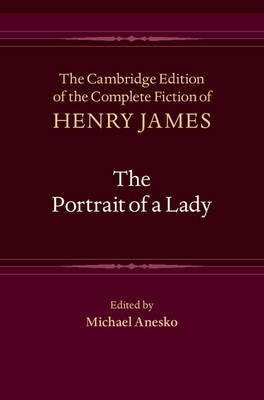 The Cambridge Edition of the Complete Fiction of Henry James provides, for the first time, a scholarly edition of a major writer whose work continues to be read, quoted, adapted and studied. Widely considered James's first great work of fiction and highly innovative in its narrative techniques, The Portrait of a Lady follows the story of an ardent, idealistic American heroine, Isabel Archer, in a cosmopolitan Europe. It explores individual freedom amidst confining circumstance, romantic choice, and the consequences of disillusionment and betrayal. This edition, based on the most reliable of the work's first book appearances (Macmillan, 1882), provides an authoritative text of one of James's finest long novels, with extensive annotations, a detailed textual history and an analysis of the reasons for its long-held popular appeal. It will be of particular interest not only to James scholars, but also book historians and students of nineteenth-century Anglo-American literature and culture.